Tucked away on the third floor of the Smithsonian American Art Museum is a small vending machine. But this doesn’t serve soda or candy–stick a $5 bill into the retrofitted cigarette machine you can get a small work of art. 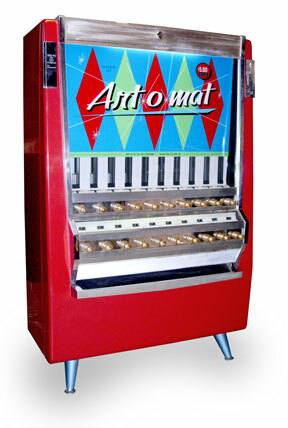 Saturday from 1 to 4:30 pm artists who fill the Art-O-Mat will be on hand to meet collectors and show off their skills. Visitors can also bring their own artpacks to swap, listen to live music and enjoy a cash bar.